Whether you need to pay a household bill, find a job or maintain contact with your family and relatives, going online has become essential part of our every day lives. For many though, this is still a daunting prospect. They might not possess the right skills, motivation and trust to confidently go online, they might not even have access to a computer. Digital inclusion and accessibility is about reaching out to those people and helping them develop their digital capabilities, and improving their access to these services. We reached out to some of the top influencers on our list to ask them for their views on digital inclusion and accessibility. We spoke to Antonio Santos (#8), Neil Milliken (#11) and John Popham (#20). Be sure to follow them to stay up to date on the best content and resources on digital inclusion and accessibility. The most popular topic mentioned in tweets and blogs by the top digital inclusion and accessibility influencers by a long way was Education with a 53% share of voice, illustrating the massive importance of Education services within digital inclusion and accessibility. Innovation was the 2nd most popular topic with 24% of all topic mentions among the top digital inclusion and accessibility influencers and brands, proving how innovation is of paramount importance in the digital inclusion market. 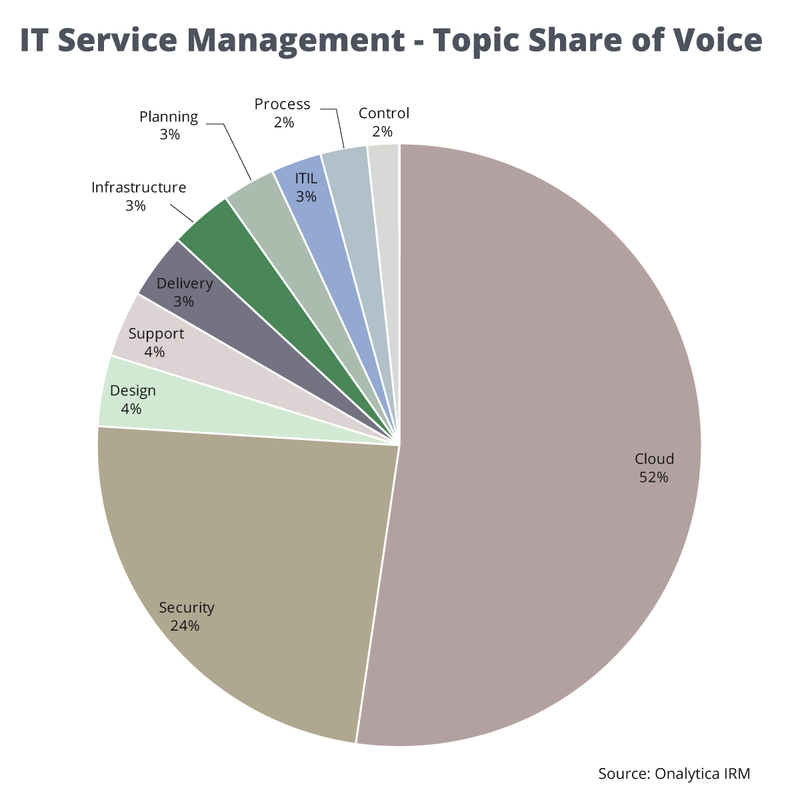 The 3rd most popular topic was Accessibility with a 9% share of voice, whilst the topic of Support received a 4% share of voice, followed by User Experience with a 3%. 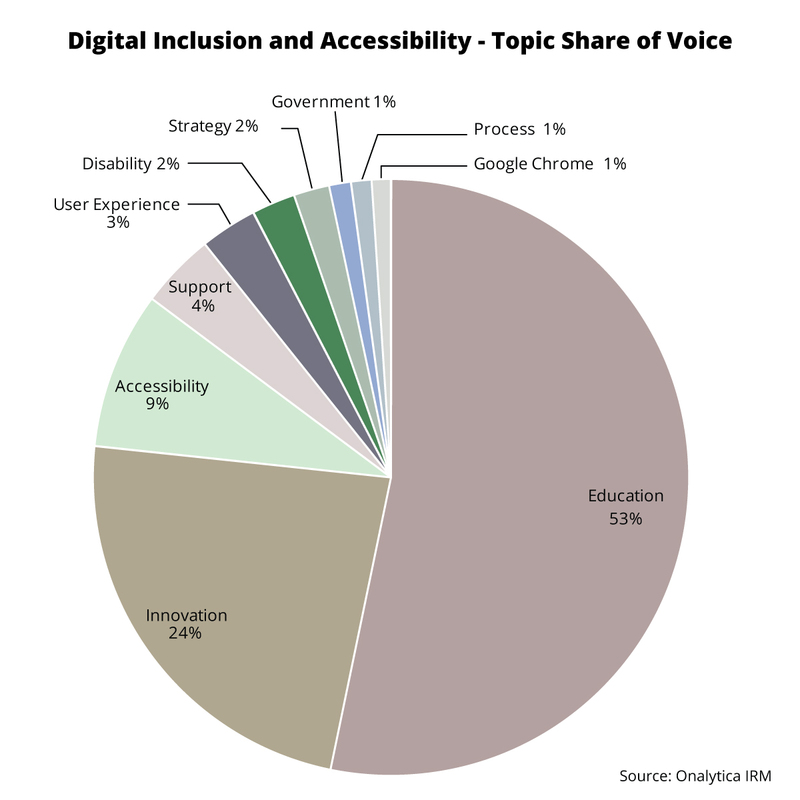 The topics of Disability and Strategy both received a 2% of the mentions followed lastly by mentions of Government with received a 1% of all mentions among the top 100 digital inclusion and accessibility influencers and brands. We were very interested in seeing which brand and individuals were leading the discussion around digital inclusion and accessibility, so we analysed over 53K tweets mentioning the key words: ((Accessibility OR Accessible) AND (Web OR digital OR Internet OR website)) OR “Digital Inclusion” OR digitalinclusion from the 5th July – 2nd October 2016. We then identified the top 100 most influential brands and individuals leading the discussion on Twitter. What we discovered was a very engaged community, with much discussion between individuals and brands. 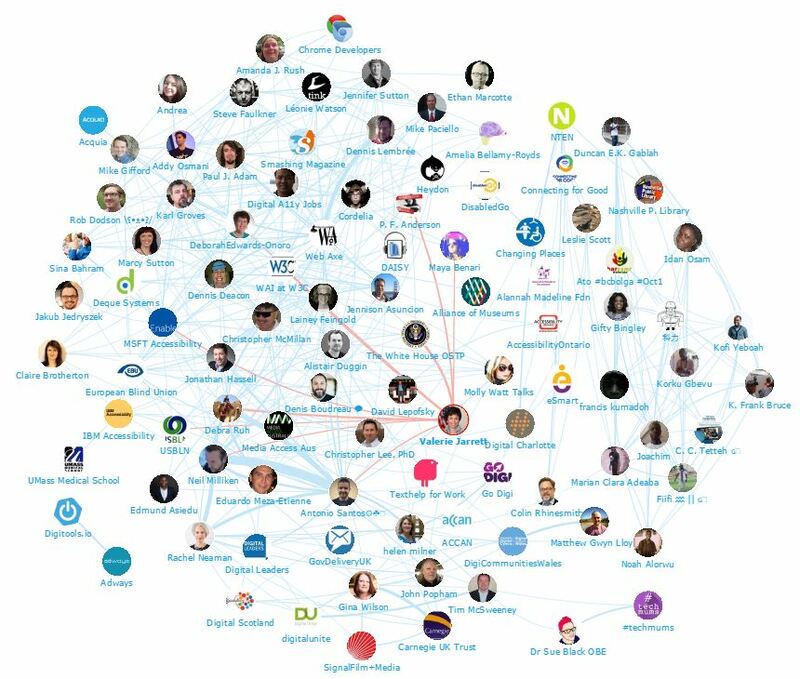 Below you can see a network map of the online conversation with number one individual Valerie Jarrett at the centre. This map was created with our Influencer Relationship Management software (IRM). Be sure to click on the map to enjoy the full size network diagram in greater detail. 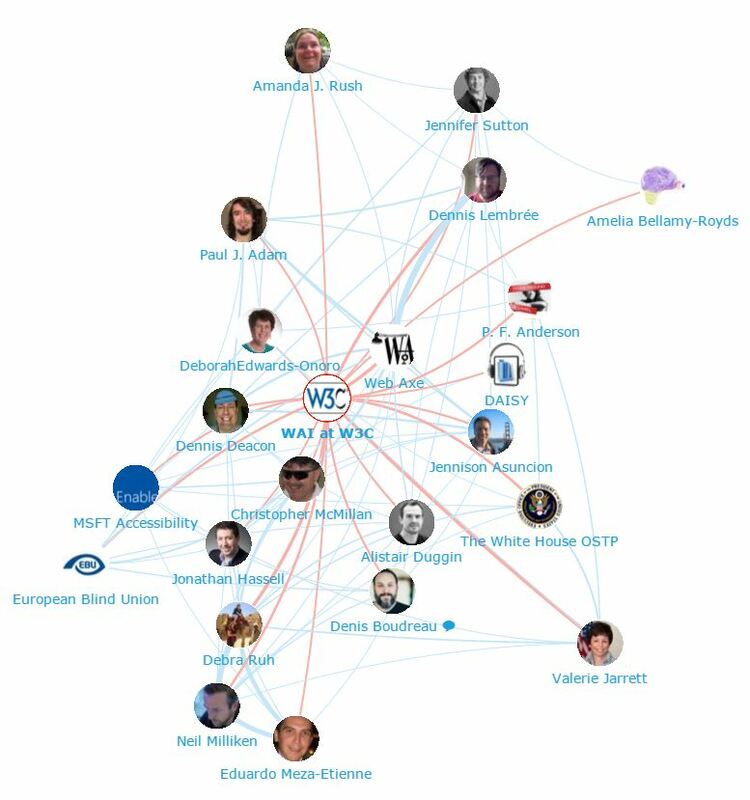 Below you can see another network map created with our Influencer Relationship Management software (IRM) showing the number 3 brand WAI at W3C at the centre and all the conversations to and from the influencers in their field. If you are interested in learning more about identifying, managing and engaging with influencers click here to get in touch! 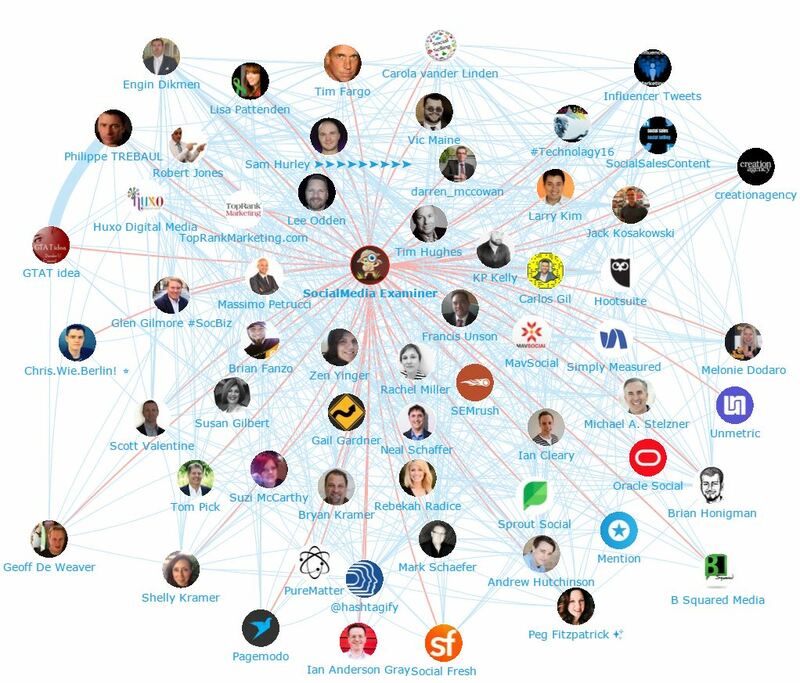 We looked at all the individuals engaging on Twitter to bring you a list of the top influencers in Digital Inclusion and Accessibility. Below is the top 50, if you want to see who ranks from 50-100 be sure to download the full report by clicking the download button below. 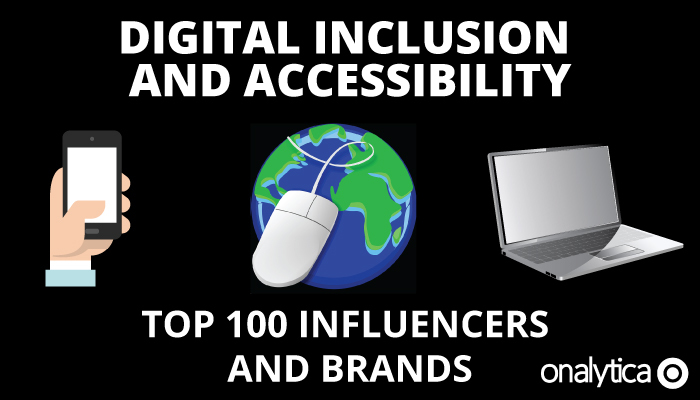 We also looked at all the brands engaging on Twitter to bring you a list of the top brands talking about Digital Inclusion and Accessibility. Below is the top 50, if you want to see who ranks from 50-100 be sure to download the report to get the full top 100 list, and see who are most the influential brands in Digital Inclusion and Accessibility. Disclaimer: As ever with these lists, it must be stressed that the ranking is by no means a definitive measurement of influence, as there is no such thing. The brands and individuals listed are undoubtedly influential when it comes to driving discussion around digital inclusion and accessibility.